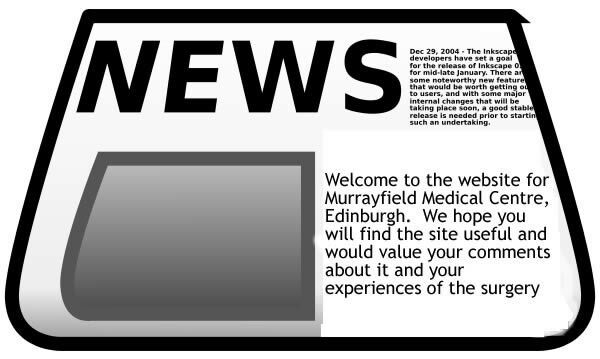 Welcome to the Murrayfield Medical Centre General Practitioners Publication Scheme. This is a guide to the General Practitioner’s (who practice together) within the partnership/single practice Publication Scheme as required under section 23 of the Freedom of Information (Scotland) Act 2002. Dr T Turney and Partners, Murrayfield Medical Centre, 35 Saughton Crescent , Edinburgh, EH12 5SS . Feedback If you have any comments about the operation of the Publication Scheme, or how we have dealt with your request for information from the Scheme, please write to: Mrs Lesley Carter, Murrayfield Medical Centre, 35 Saughton Cres, Edinburgh, EH12 5SS telephone 0131 337 2166. If we are unable to resolve any complaint, you can complain to the Scottish Information Commissioner who oversees the Act and whose contact details are below. From 1 January 2005, when the general right of access came into force, there exists a formal appeal mechanism to deal with situations where information is withheld. Further details on this will be available on the Commissioner’s web site at www.itspublicknowledge.info/. Since January 1st 2005 the General Practice has been obliged to respond to requests about recorded information that it holds. The Act creates a right of access to that information, subject to certain exemptions listed in the Act. New environmental information regulations were introduced in January 2005. These enable similar access to environmental information as under the Freedom of Information ( Scotland) Act 2002. Under the Data Protection Act 1998, you are also entitled to access your clinical records or any other personal information held about you and you can contact: Mrs Lesley Carter, Murrayfield Medical Centre, 35 Saughton Cres, Edinburgh, EH12 5SS. Telephone 0131 337 2166. How is the information made available? The information within each class is either downloadable from our web site [www.mmc.org.uk] or is available in hard copy contact: Lesley Carter, Practice Manager. Other formats/accessibility of information Where possible the practice will take all reasonable steps to endeavour to meet requests to provide information in accessible formats. 1. Who we are Details of the practice, organisational structures, key personnel and how we fit into the NHS. The NHS is a very large part of the public sector. A full list of local General Practices can be found on NHS Lothian’s web site: www.nhslothian.scot.nhs.uk The Murrayfield Medical Centre General Practice provides primary medical services for the following geographical area: The practice area is approximately bounded by ueensferry Road to the north; Drumbrae, Meadowplace and Broomhouse Roads to the west; Calder Road, Longstone Street, Inglis Green Road and Slateford Road near Ardmillan, left along Murieston Road, continuing alongside the railway line to Haymarket, bypassing Dalry. 2. Our services This practice provides primary medical services to the standard laid down in the NHS (Primary Medical Services Section 17C Agreements) (Scotland) Regulations 2004 and the range of services we provide are contained within the Practice Leaflet and on the practice web site www.mmc.org.uk. 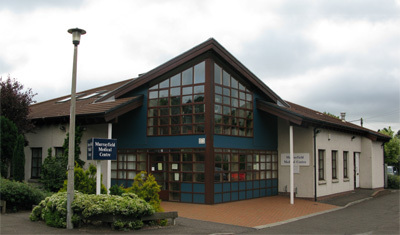 Data Protection Act : The Murrayfield Medical Centre is registered with the Data Protection Register and complies with the Data Protection principals to safeguard all data held. Confidentiality : The practice may from time to time be asked for information on a patient from outside agencies. The doctors, nurses and all other members of staff operate a strict policy of patient confidentiality. You should therefore feel comfortable in disclosing any information you think is important in the knowledge that all information is protected and will not be released to anyone without your consent. Advocacy/Chaperone/Interpreter Patients are welcome to attend any appointment accompanied by a friend or relative if they find this helpful. Patients attending on their own may also ask for a chaperone to be provided during a consultation with the doctor or nurse. If required, an interpreter can be organised to accompany the patient to see the doctor [ask receptionist for details]. This practice aims to take into account NHS Quality Improvement Scotland standards and guidance, SIGN guidelines relevant to general practice and Scottish Executive Health Department service strategies and frameworks. Practitioners are registered with the General Medical Council and follow the standards and good medical practice guidelines laid down by the GMC, including the requirements set out in the GMC guidance ‘Duties of a Doctor’. This practice has met RCGP Scotland Practice Accreditation Standards. This is an approved teaching practice. 3. Financial and funding information Funding details and charging policies. We make no charge for NHS services. 4. Regular publications, promotional and advisory leaflets Guidance and information leaflets produced by the practice and available for patients and/or the general public are available from the practice, and a list of these can be obtained at reception or via our web site. 5. Complaints Policies, procedures and contacts for complaints. The practice runs an in-house complaints procedure. If you have a complaint or concern about the service you have received from the doctors or any of the staff working in the practice, please contact Lesley Carter, Practice Manager. We will try our best to resolve matters as quickly as possible. 6. Our policies and procedures General policies and procedures in use within the practice and appropriate policies which inform decision making processes within the practice, which are of importance to the public. These include, but are not restricted to, data protection, prescribing and prescription, health and safety. We make changes to our services on the basis of instructions received from the NHS Board. Cost of Information For the most part, we will charge you only for hard copies or copying onto media (e.g. CD ROM). Some information is available free, but in some cases there may be a charge. The charges will vary according to how information is made available. Where information is available subject to a fee, such as the charge per sheet of photocopying the fee will be 33p per side of A4. The practice will, wherever possible, let people making the request for such information know in advance how much a document would cost, taking into account any total copying charges for the document. The charges will be reviewed regularly and this scheme updated.